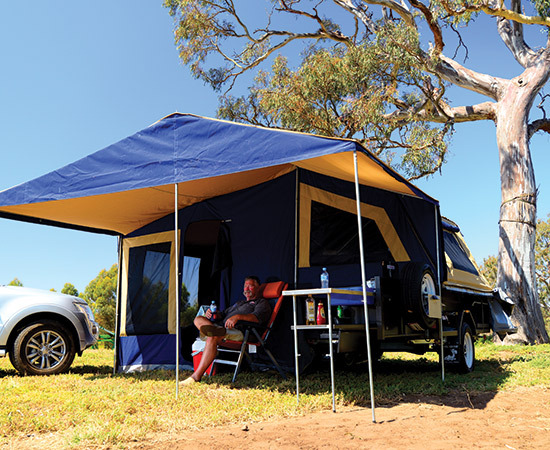 Camel produces a range of softfloor campers, with the lower priced units still retaining the high standards of construction but with fewer bells and whistles. 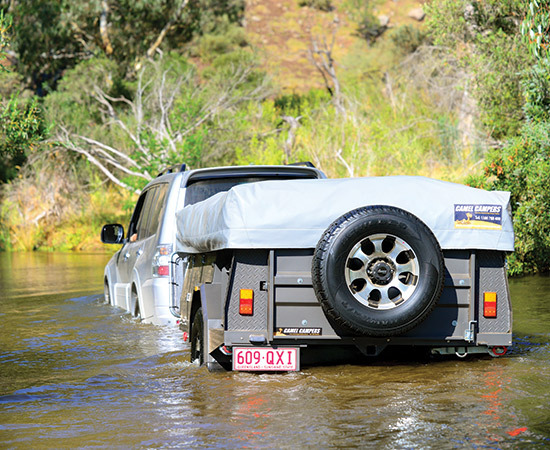 The Bushman Expedition is the brand’s premium camper with a list of sensible options for extended offroad adventures. The frame is the most important part of any trailer and this one has a tough chassis with its 75x50x3mm zinc annealed Duragal, fully-gusseted, one piece frame extending from end to end, as well as cross sections of similar dimension. There are a couple of 50x50mm cross rails, particularly around the water tank supports, and the entire, fully-welded trailer box is 2mm sheet steel, where many others are only 1.5mm. By utilising a full single rail monocoque chassis from the front of the trailer to the rear, there is no need for overlapping joins allowing the trailer to be 75mm lower than many competitors, yet still providing excellent ground clearance. 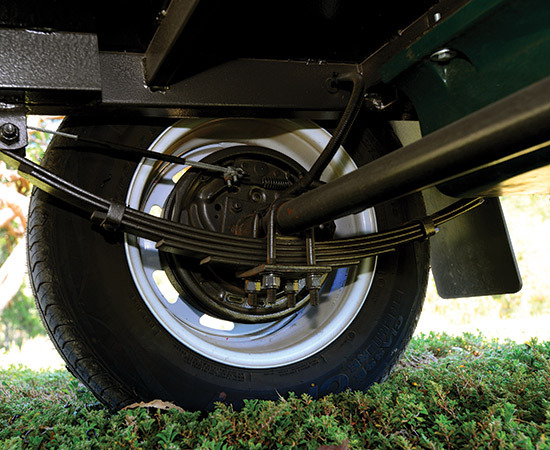 The spring hangers are welded directly to the frame and carry heavy duty Al-Ko seven leaf greasable, rebound, eye-to-eye springs with a 50mm axle and 10in electric brakes rated to 2000kg. 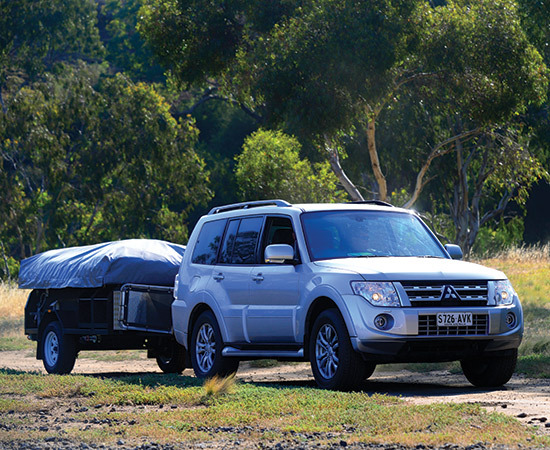 This is the largest and the heaviest of their trailers at 990 kg tare and 1500 ATM, and it sits on upgraded 16in alloys on six stud LandCruiser pattern with new all-terrain tyres. The finished product is primed and dual-coated with hammertone enamel for a strong, even finish that is easily touched up when the inevitable stone and sand blasting finally takes its toll. Camel Campers has so much trust in its engineering, and in fact its entire camper, that it offers a full five year guarantee. 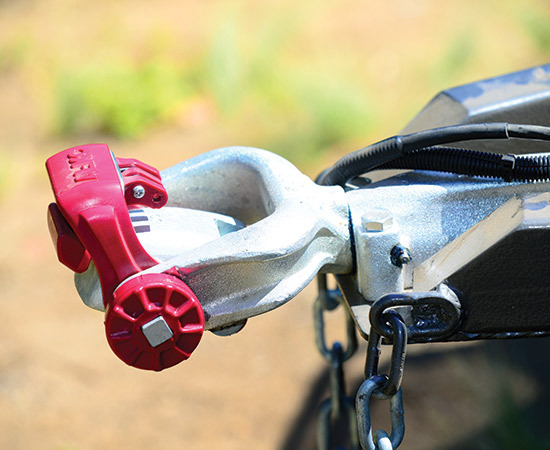 Up front is a strong Al-Ko offroad swivel coupling that is recessed and protected by the drawbar. The hand brake is standard, as is a removable 10in solid jockey wheel as well as the strong stone protector with replaceable mesh. It has a big front toolbox with tent pole compartment, gas struts, solid locks and all edges are finished with a thick, high quality automotive seals to keep the red dust and water out. 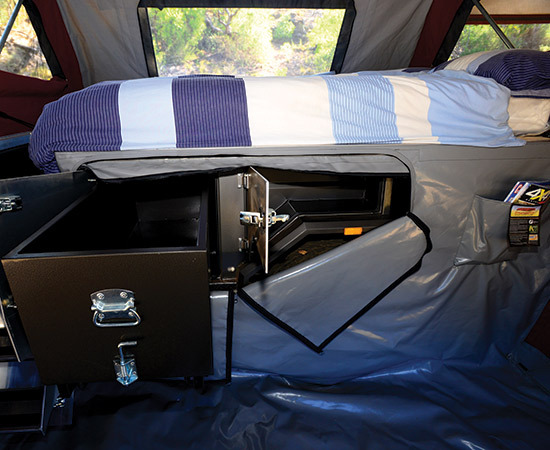 The Bushman Expedition features enclosed side compartments, the first of which on the driver’s side takes you straight into the walk-through section which is ideal for quick access to goodies like folding tables and chairs, or maybe a change of clothes for added comfort on the road. The next compartment is the electrical box housing a 12/240V battery management system with 25amp 12V charger, a 240V plug with kitchen outlet and dual 80Ah deep cycle batteries. Solar panels can be plugged directly to the Anderson plug on the drawbar. To the rear of the wheel arch are mounting brackets for twin 4.5 kg gas bottles, a water filling point for the twin 65L, 10mm-thick food grade poly water tanks. The tanks are independent and serviced by an electric pump, however there is also a tap point for switching to mains water if you are staying at a serviced campsite. Out the back there is a strong tailgate with solid hinges, a 90mm over-centre catch and locating blocks welded in to ensure even weight distribution of the heavy pivoting unit. The spare wheel is mounted on the rear, freeing up the drawbar and distributing the weight correctly, as walk-through designs can be easily overloaded on the ball weight. There’s marine grade LED lighting with soldered waterproof connectors and tinned wiring. 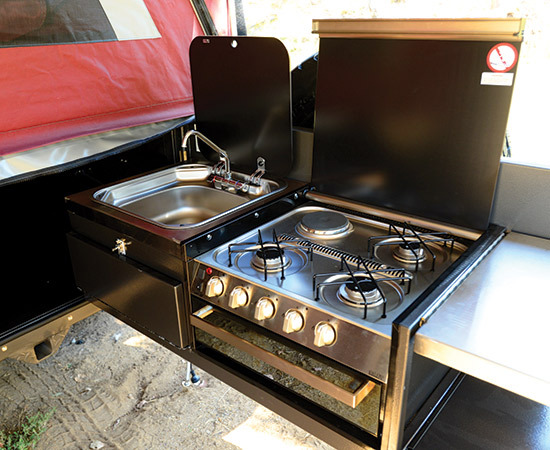 Open the tailgate and out slides the “Supreme" kitchen, including stainless steel bench, recessed stainless steel sink, Smev four-burner cooker with three gas and one 240V burners plus a grill, storage drawers and an extra shelf. There is no hot water system as standard but it is available as an option, with the mixer tap already fitted. The kitchen is practical and efficient. It has basic steel construction with stainless tops, surfaces, fittings and appliances. The fold out is simple and the extra shelf very handy. There’s not much pantry space but there is room for up to eight 27L storage containers inside the trailer, so that’s the way to go. On the other side is a sliding and pivoting mount for a portable fridge complete with power sockets. There are some simple pleasures with 12V LED lighting in all of the right places, and I really liked the way Camel supplies a canvas and hook and fastener pole mount for one of the strip lights. The rear of the trailer has twin recovery points welded to the chassis, as well as a Hayman Reece receiver for a push bike mount or similar accessory. The Bushman Expedition unfolds in just five minutes. It’s a 3050x2590mm tent as standard and the quality of the Australian Wax Converters dynaproofed canvas is second to none. 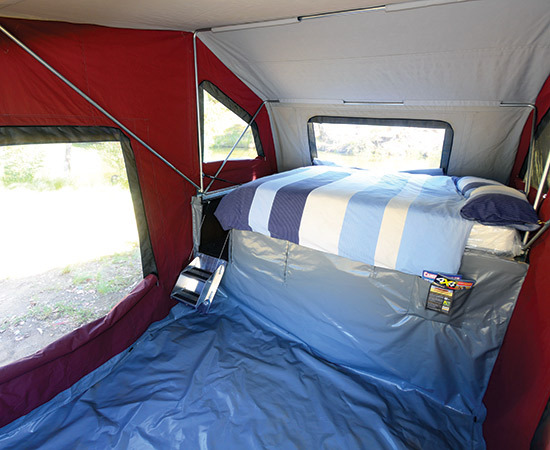 The tent also features high quality midge-mesh fly screens, plenty of large windows with awnings, and premium YKK zips. 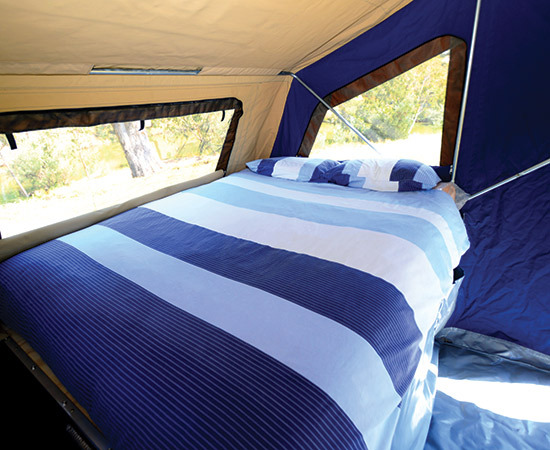 Camel Campers manufactures its frame with a small diameter rod inside the outer tube, giving it enormous strength. That means a little extra weight, but hey, it ain’t going to fail. The Bushman Expedition’s marine-carpeted walk-through is 500mm wide, while many others are 600mm. 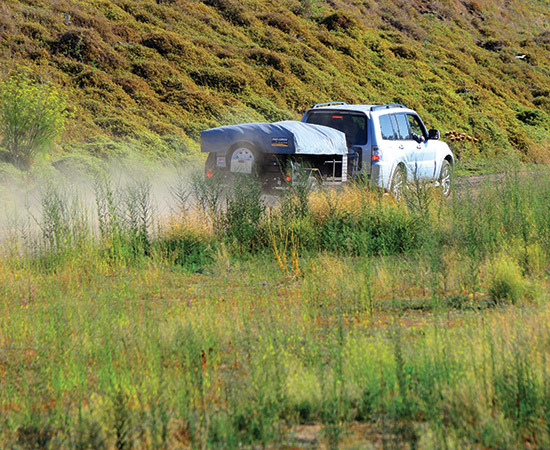 This is to keep the trailer’s length at a minimum for tight offroad situations. I personally didn’t miss the extra four inches (100mm) in the walkway, and the whole unit just feels like the right dimensions for me. There are plenty of storage cabinets servicing the interior, while the queen innerspring mattress is easy to get to via the LED-illuminated walkway. There are 12V and 240V power points and a USB fitting next to the bed. It’s terrific to see another proud Australian company successfully making quality, time-proven products. Camel has been producing its wares for some 17 years, 14 of those from its current Slacks Creek, Qld facility. 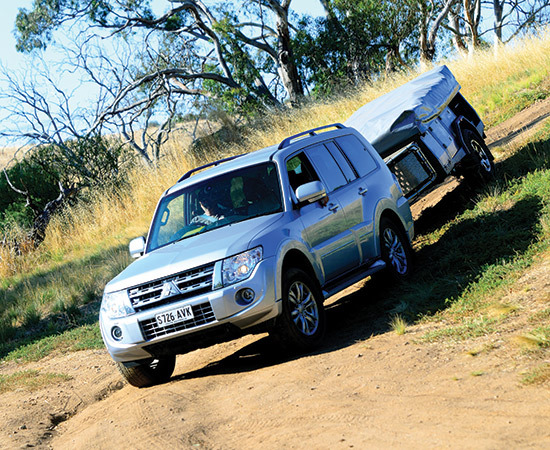 The brand’s experience and maturity shows in its flagship Bushman Expedition softfloor. It’s a strong, no-nonsense camper that you can count on in the most trying terrain. 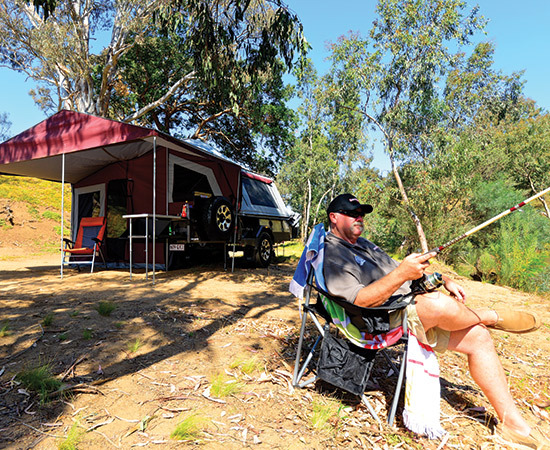 Search for new Camel Campers camper trailer for sale.